Many people know I don't own any DVDs. Except, well... all seven seasons of The West Wing. 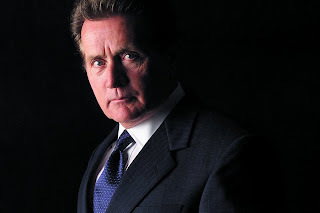 Though I know he mostly lives in writer-genius Aaron Sorkin's head—the favorite President of my lifetime is none other than Jed Bartlett, the firey but compassionate economist (there's part of the appeal) that Martin Sheen sometimes gets mistaken for on the street. So imagine my grin when Barack Obama meets him. preaching politics. "pulpit freedom sunday"